Award-winning broadcaster Simon Mayo has been named the host of the new Blockbusters, Challenge TV today announced. The new show marks Challenge TV’s first original commission since it re-launched on Freeview last year and supports Sky’s commitment to increase its investment in home grown content to £600m by 2014. “Blockbusters is an iconic show and a winning format. I feel very honoured and excited,” said Simon. Simon Mayo is one of Britain’s best-loved and well-known radio presenters. He joined Radio 1 in 1986 and now presents Drivetime on BBC Radio 2. He is also the co-presenter of Kermode and Mayo’s Film Review on BBC Radio 5 Live. In 2008, Mayo was recognized as the ‘Radio Broadcaster of the Year’ at the 34th annual Broadcasting Press Guild Awards and the ‘Speech Broadcaster of the Year’ at the Sony Radio Academy Awards. Blockbusters first broadcast in the UK on ITV in 1983 hosted by the late Bob Holness, where it ran for eleven years. Unlike the original series which featured students, the new Blockbusters is open to anyone over the age of 18. 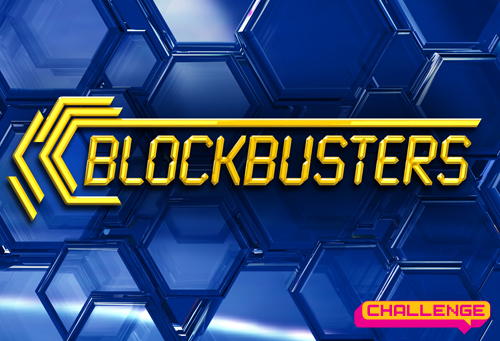 Barbara Gibbon, director of Challenge TV, said: “Blockbusters is the ultimate cult TV quiz, and we think that Simon Mayo is the perfect host to bring it back to our screens. Blockbusters is set to air in spring 2012.